A good example of this is his recent column “The Get-Cheney Squad,” in which he justifies U.S. torture of Islamist prisoners-of-the-empire and threats to kill their children because these “rough methods” “saved American lives.” He bemoans “the clamor of a left that will not be satiated until Cheney and Bush are indicted as Class A war criminals.” Wake-up call, Pat: Huge numbers of people who would rather be found dead in a ditch than be called a leftist have come to believe 1) that our wars in the Middle East are illegitimate, and 2) that our ongoing mass slaughter of innocents and anti-Zionists there is unnecessarily creating millions of enemies of America and the West, and 3) that the architects of this madness are indeed war criminals. The phrase “national security” should today make decent men’s hearts tremble with visions of SWAT-suited JTTF thugs hauling patriots off to federal prison on false charges (as happened to me and many others) and CIA drone missiles roasting every resident of entire apartment blocks (as happened a few weeks ago to little notice in the press except for cheers that “we” “got” a suspected Taliban official along with the unmentioned dead families). 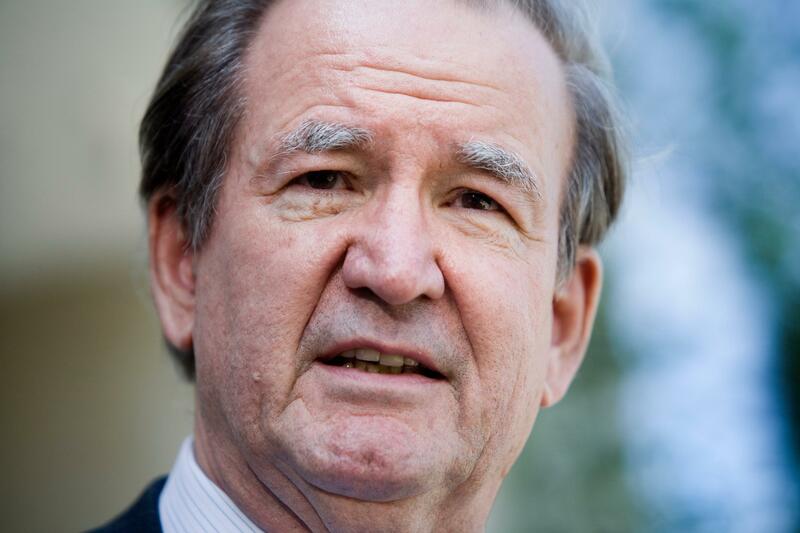 Instead Buchanan gets warm flag-waving fuzzies when he hears the phrase. It seems that, aware as he is of the neocon/liberal-minority/Jewish power nexus, in part of his consciousness he is still a 1960s Cold Warrior with Communists replaced by “terrorists.” In part of his mind America is still America.